J. Davidson Frame is Dean of Academic Affairs at the University of Management and Technology (UMT) in Arlington, Virginia. Prior to joining UMT, he established the project management program at George Washington University. He also served as director of the Project Management Certification Program at the Project Management Institute (PMI) and has served on PMI's board of directors. 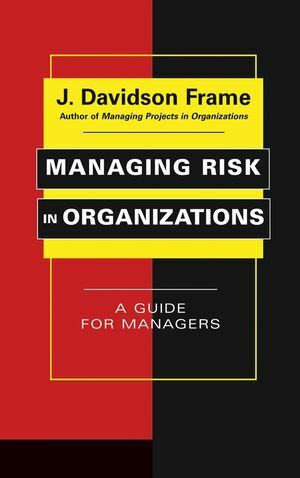 Frame has authored more than forty articles and seven books, including The New Project Management (2nd edition) and Managing Risk in Organizations. 1. The New Business Environment and the Need for a New Project Management. The Problem with the Traditional Approach to Project Management. Traits of the New Project Manager. The Increased Value of Project Managers. PART ONE: MANAGING IN THE NEW BUSINESS ENVIRONMENT. 2. Managing Complexity: Techniques for Fashioning Order Out of Chaos. 3. Engaging Change: Knowing When to Embrace, Accept, or Challenge. Going with the Flow of Rapid Prototyping. Resisting Change with Configuration Management. Basic Steps in Developing a System with Configuration Management. 4. Managing Risk: Identifying, Analyzing, and Planning Responses. Sources of Risk on Projects. 5. Satisfying Customers: Knowing Who They Are, What They Want, and When They are Right or Wrong. Understanding Customers’ Needs and Requirements. Traits of Effective Needs Analysts. Steps for Improving Needs Definition. Customers’ Responsibilities in Defining Their Needs. Organizing to Achieve Customer Satisfaction. What to Do When Customers Don’t Cooperate. 6. Defining Requirements that Bridge the Customer-Developer Gap. 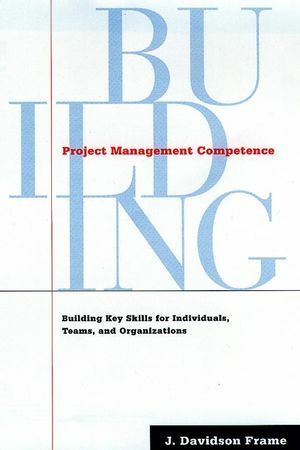 The Place of Needs and Requirements in the Project Management Process. Key Players in the Requirements Definition and Management Process. The Communication Challenge: I Can’t Read Your Mind. PART TWO: TOOLS FOR THE NEW PROJECT MANAGEMENT. 7. Acquiring Political Skills and Building Influence. Players to Contend with in the Project Environment. 8. Building Teams with Borrowed Resources. Make the Team as Tangible as Possible. Develop Rewards for Good Behavior. Develop an Effective Personal Touch. Self-Managed Teams: Prospectus and Pitfalls. 9. Selecting Projects That Will Lead to Success. Buss’s Technique for Rank Ordering Projects. General Rules for Selecting Projects. 10. Estimating Realistic Costs, Schedules, and Specifications to Ensure Project Success. Traditional Approaches to Cost Estimating. Strategies for Dealing with Poor Estimates. 11. Scheduling Projects with New Tools: The Time-boxed and Critical Chain Scheduling Techniques. What Needs to be Prioritized? What Needs to Be Prioritized. The Use of Parallel Development. The Critical Chain and the Theory of Constraints. The Critical Chain Perspective and the Psychology of Estimating Task Durations. Using Buffers Effectively to Accelerate Project Delivery. Project Buffers, Feeder Buffers, and Resource Buffers. 12. Outsourcing to Control Costs, Focus on Core Work, and Expand Resources. Customer Acceptance and the Handover. 13. Integrating Cost and Schedule Control to Measure Work Performance. A Graphical Approach to Integrated Cost/Schedule Control. The Fifty-Fifty Rule for Measuring Work Performance. Other Ways to Calculate Earned Value. An New Look at Cost and Schedule Variance. Case Study: The Bora Bora Officers Club. Trend Analysis with the Earned-Value Approach. When Is the Earned-Value Approach Appropriate? 14. Evaluating Projects to Maintain Goals, Strengthen Accountability, and Achieve Objectives. Evaluations and the Project Life Cycle. 15. Understanding and Using Performance Metrics; or, Measuring the Right Stuff. The Role of Measurement in Managing Projects. The Shadow Side of Measures. 16. Establishing and Maintaining a Project Support Office to Strengthen Project Management Capabilities. What Project Support Offices Do. Where Should the Project Support Office Reside? · Staffing the Project Support Office. Selling the Project Support Office. 17. Carpe Diem: Seize the Day! 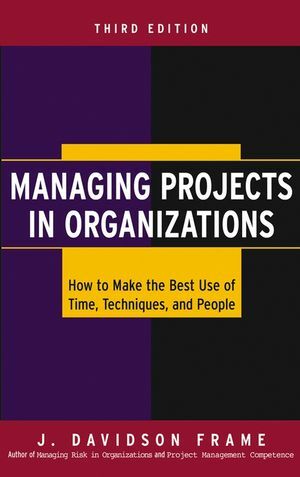 Appendix: An Annotated Reading List for the New Project Management.